As in Ireland, the van market is currently dominated by diesel, and research in the UK is showing that van buyers are aware of changes to legislation in London is on the horizon and they are looking at other options. The 10 new Transporter models, all T28 Trendline panel vans with a 2.0-litre TSI 150 PS engine and manual gearbox, will be available to hire from Zipcar’s London-based fleet locations. They join the 400+ diesel-powered vans currently on offer to those who need a vehicle on a flexible basis, from an hour to a day or more. Commenting on the petrol van pilot, Jonathan Hampson, General Manager of Zipcar UK, said: “The Mayor of London recently outlined plans to actively reduce the use of diesel in the capital. We have already completed the removal of diesel from our car fleet, and whilst this is significantly more complex in the commercial vehicle market, we’re delighted to partner with Volkswagen to continue with this process. Zipcar is the world’s largest pay-as-you-drive car club with over one million members and more than 12,000 vehicles across 500+ cities and towns around the world, supporting them in reaching their urban transportation goals by providing residents and businesses with more sustainable transport choices. 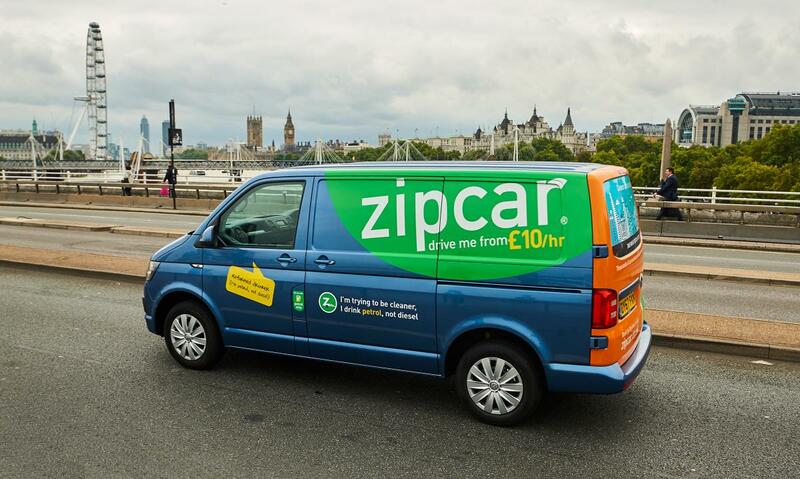 By signing up, online members are able to access Zipcar’s entire fleet and hire vehicles by the hour or the day (60 miles included), with transparent pricing, fuel, insurance and congestion charge costs included, from hundreds of locations across London. Car club members in the UK have increased by 49 per cent in the last four years, according to Carplus, a not-for-profit, environmental transport NGO which promotes the shared transport sector, including car clubs, bike sharing and 2+ car sharing. London’s population is forecast to increase to 10.5 million over the next 25 years, which is expected to generate five million additional trips each day by 2041 according to the Mayor of London’s Transport Strategy, June 2017.